In episode 144 of the podcast astrologer Kelly Surtees joins the show to talk about a popular timing technique known as secondary progressions, where every day of the native’s life symbolizes an entire year. In this episode we talk about how to calculate secondary progressions, as well as how to identify important turning points and phases in a person’s life with the technique. During the course of the show we discuss the interpretation of retrograde stations, progressed aspects, secondary progressed lunation phases, and more. Below you will find the show notes, with an outline of some of the points touched on in the discussion, followed by links to stream or download the recording of the episode. This episode is available in both an audio and video versions, and you can find links to both recordings below. Became one of the most common timing techniques in modern astrology, second only to transits. Evidently only became popular in the past few centuries. Holden thought that Kepler was the first to mention it. Valens may have mentioned it briefly in the 2nd century. Different symbolic ways of moving the chart forward. Transits are the actual movements of the planets in the future. 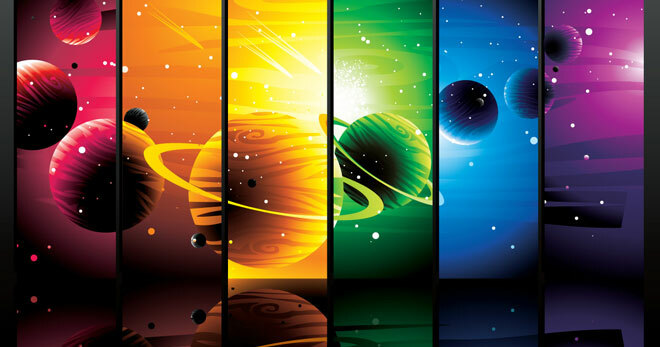 Profections advance the planets by one sign per year. Primary directions advance them via rising times of the signs. Solar Arcs one degree per year. Second day of life is like the second year. To work this out go to an ephemeris for your day of birth. That’s year 0. Day 2 of life = year 1 and so on until you get to your current age. Think about the sign changes or new and full moons that happened in the first 3 months of life. These form part of your progressions. Minor events that happen at the beginning of life become major events later on. So what are some important transits in the first months of life? Planets stationing retrograde or direct often signal major turning points in the life. Also speed changes in general. When do applying aspects in the birth chart go exact? When do secondary progressed planets aspect positions in the natal chart? When do planets change signs? I’ve definitely noticed that when the SP Sun changes signs, the “flavor” of life changes. Have seen it in my own life, and recently was reminded by a friend that I’d predicted a big change for him when his SP Sun moved into a new sign, and that prediction was spot-on. I just realised my SP Sun has crossed my natal MC (Cap). A very long cycle Opus (28 years) came to glorious fruition in the Govt. public arena. It would have been exact at the time I launched the final aspect of the work. I was not tracking my SPs. To see the SP placement crossing the MC after the fact has a doppler resonance – like Wow! did I just do that! OK! I am inspired to study SP much closer, and buy lectures and your book. It makes perfect sense. Thank you for giving so deeply of yourselves. Idea: have Frank C. Clifford on to discuss why he prefers Solar Arcs. Another really great program. Thanks. My sun is at 22 Cap and has progressed through Aquarius, Pisces, and is now into Aries. What I noticed about the changes is that my inner self and desires have not changed but the processes I have to use to be successful in life have changed into those associated with my progressed sun. The shift at about age 8 with the move into Aquarius happened quite easily because Capricorn and Aquarius share a focused Saturn structure. I entered school and became a techy nurd during this time. When my progressed sun fell into Pisces, my life literally fell apart. I fell off the boat of my life into the ocean of the unconscious. I tried very hard to keep my life together with good nose to the grindstone Capricorn work and responsibility, but the harder I worked the weaker and sicker I got. I was saved when I finally surrendered and turned my life over to my version of Divinity. I had to learn how Pisces succeeds by surrender and by using attraction rather than hard work to survive. I was also able to pay my way by doing metaphysical, spiritual, artistic, and counseling work rather than the IT work I had done before. Now that my progressed sun is in Aries I am again struggling. It has been very difficult to shed myself of the dreamy other worldly Pisces life and get back to being more focused and active which is the Aries process I now need to keep my life going successfully. I still feel like my familiar Capricorn self but my ability to activate the Aries has been difficult so I spend a lot of my time feeling dissatisfied with how my life is progressing or actually not progressing. It seems to take a number of years to shed one set of familiar behaviors and engage in a new set of behaviors as your familiar and tried and true processes no longer bring successful results. As with Trump, he has succeed for 30 years being and over the top Leo. Now his life is calling on him to be a more careful, deliberate, hard working, and service oriented Virgo and I doubt that he has the will, capability or desire to do this. It will be interesting to see as time goes by if people begin to really see this disconnect and start calling him out for not being more Virgo. Will he respond by continuing to blow his Leo horn and then get more and more blow back for doing this? This will be and interesting process to watch. Chris and Kelly, I’ve been using secondary progressions for some time, yet this podcast broadened my understanding of the technique even more. I enjoyed listening to you both. So many questions, so many books to buy … Hindsight 20/20 – very obvious shift in my Day chart Pr Sun from years of Earth, which I loved to Air, now 10 degrees into H10 of the natal. I am much less settled and plodding along. I am much more flexible (Gemini) but with natal Venus in Taurus conjunct MC I miss those years very much. It has been awhile now and I still wish for the feeling of rootedness and other Taurus experience. We evolve sometimes because we have to and sometimes because of just being done with something. This is where I find the overlay of transits, and other timing techniques to be most interesting. Reading the Sun and Moon alone in the progressed is a nice reinforcement of Rudhyard’s teachings of the importance of the Moon Phase and the Progressed New Moon. So enriching to add this element. And once again – great advice on how to incorporate and try out new techniques. Very clear and informative. So glad you enjoyed the show! Wish you’d had time for the Bowie example. Kelly, what dates did you use for that? So many examples, so little time! I used Nov 1, 1990, which I believe is about when Bowie and Iman made their first public appearance together as a couple. You guys are adorable. I love you guys so much. It looks like Alan White’s progressed chart also had Mercury trine Jupiter in that 1994 chart, just when the Moon was moving into Gemini, the First House in the progressed chart, where Jupiter was located. Listening to the end of this episode again — a really great one, btw — just want to mention that Windsor Castle didn’t burn to the ground. It was extensively damaged and restored. A quibble, I know, but where would we astrologers be without attention to detail? Will definitely be following up with Kelly’s resources on progressions. The Secondary Progressions Podcast was very good. Thanks for the effort. As a side note… I’m born 1 Nov 1957 with a Pisces Moon. So also lovely to watch Chris and Kelly interact. So much generosity of spirit, incisive and inspired direction. Thanks again. I love your podcasts. Really enjoyable and helpful – thank you both! Kelly, I’m really looking forward to you doing a webinar on Progressed Mars (which is currently squaring my ASC and I’m feelin’ it!). In Trump’s progressed chart for the election period, the progressed Moon is in that Balsamic phase you interpret to mean more introspection and pulling back out of the limelight, and yet this is when he rose to his highest prominence. Kelly, can you reconcile this with the idea that the 14 year period of first quarter to last quarter progressed Moon indicates highest prominence? I guess it cannot be reconciled. This was a very balanced presentation of secondary progression, both beginners and longtime users will find it invaluable. Kelly was super clear with her explanations, which isn’t easy with this topic. I’ve always gotten lots of information from secondary progressions so I’m also amazed it hasn’t really been covered in previous shows. Thanks for the great episode. Really great you guys! I’ve listened to this twice. I look forward to doing a webinar Kelly.